Once you have decided that you need a website for personal or business use, there are some tasks that you must complete in order to go through the process of getting it live on the internet. Your website must have a domain name. This is the identifier that shows your network address and that it belongs to a particular domain. This identifier is part of the domain name system. 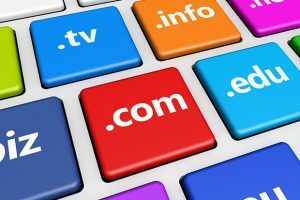 There are many different resources that you can use to buy and register your domain name. At one time Google wanted to get into the business of selling domain names. Aside from this, most of the hosting companies will do a domain name search to see if it is available and if so then they will offer to sell this to you for a specified price. The more value the name has the higher the price will be. Most times there will be options for the domain name extensions such as .com, .org. and .net along with many others. Before choosing your domain name it is a good idea to do some research to see if there are other similar names that you don’t want to compete with. You want something that is going to be unique. Something to keep in mind is that choosing a great domain name is always difficult, so take your time otherwise you may regret your choice in the future. Price is also going to be an important factor but it should not be the deciding factor. You need to be informed as to what you are getting for what you are paying for. These first three tasks are critically important to your being able to have a presence on the web, and one that is fully compatible with the internet. When choosing your CMS you don’t want to have to spend a lot of time learning how to use it. Therefore it must be user-friendly. Another important feature is whether the CMS is going to be SEO friendly. You don’t want to have to spend extra time focusing on SEO simply because it is lacking in the program.